The snow line has dropped in elevation and was so captivating against this clear blue sky, yet warm at sea level on the desert floor.Â Lots of birds loitering around the pond. 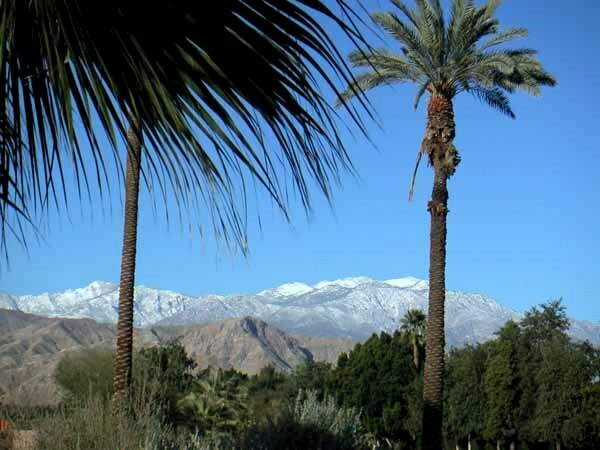 Fun combination to see the palm trees with the snow in the background. 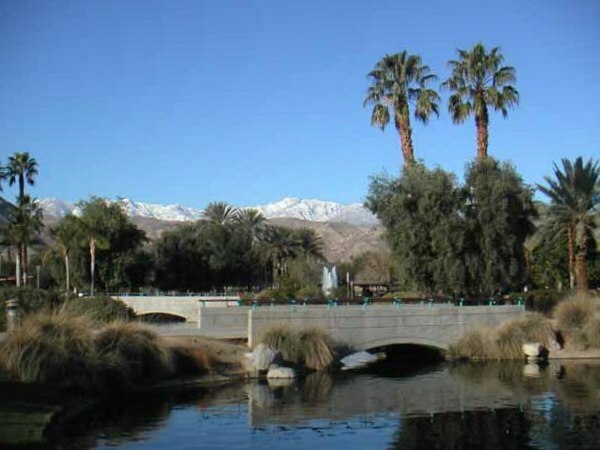 This entry was posted in California, Palm Springs. Bookmark the permalink.